Courtesy- Microgaming, Michael Crichton’s dinosaurs are back and looking for who to squash, eat and spoil with treats. Equipped with a theme that heavily borrows from the book and movie of the same name, loaded with five reels, three rows and 243 ways for players to strike it rich, and sporting enough borrowed visuals and audio from the movie to ensure that you might have a nightmare or two, Jurassic World is certainly not lacking in the oomph factor. 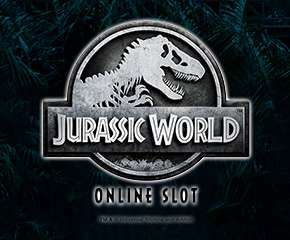 The Jurassic World online slot is a slavish homage to the book and movie of the same name. The audio comprises selected clips from the film, while the reels are packed with characters from the movie and is of a metallic, futuristic design that towers over nearly everything. The high-value icons as previously stated comprise characters from the movie. These are Clare, Simon, Owen and Nick. Acting as the lower value icons, on the other hand, are a collection of dinosaurs like a T.Rex, a Stegosaurus, Velociraptor and Pterodactyl. The iconic Jurassic Park logo functions as the wild can appear stacked up to ten high on the reels and will, of course, replace all other icons save for the scatter. With the latter being a mosquito trapped in amber. • Wild Scatters: This bonus is activated by two of the scatter icons landing on the same spin. Both will turn wild and grant some extra wins. • Gyrosphere Valley: Grants 10 free spins and a multiplier that is increased for each spin in which nothing is won. Once a win is recorded, the round is over and the feature rests itself. •Creation Lab: Gifts ten free spins and winning icons that disappear, so that more of them can fall into place and trigger another win. Here, Cyro Wilds are active and stay in place for a total of three wins. • Indominus Rex: This is a gigantic dino that occasionally appears during the base game and can slap a maximum multiplier of 1000x on wins. 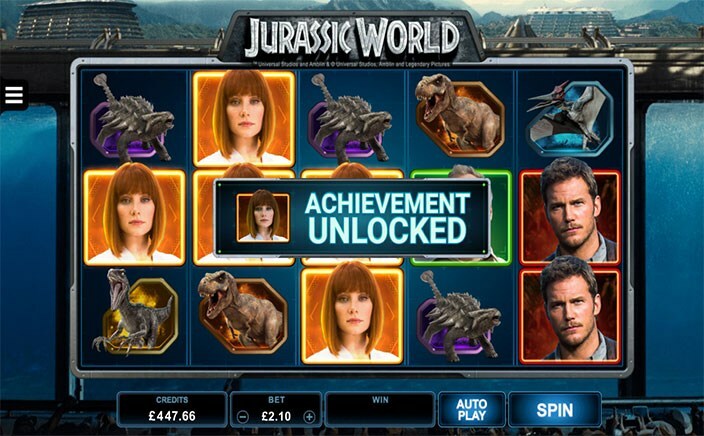 Jurassic World is a detailed and easily lovable online slots with an RTP of 95.45%. The visuals, bonuses, audio and overall effect is quite good and makes it an easy recommend.